In May this year, a big change came for the Library and Archives Canada (LAC) Halifax team when we moved into the Canadian Museum of Immigration at Pier 21 in beautiful downtown Halifax. The time has flown since then, and we have already passed our first summer at our new location. 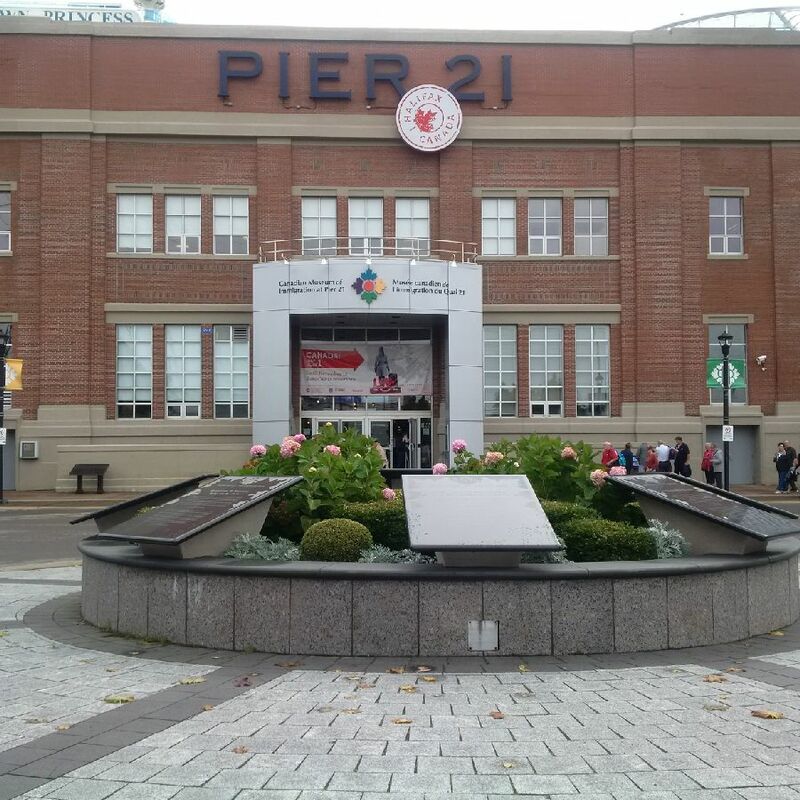 Providing reference services to researchers in the Halifax region from our new service point at Pier 21. Not only do we now share office space with Pier 21, we also opened a new service point to make LAC’s collection more accessible to the local communities in the region. Officially launched on June 19, it is located within Pier 21’s Scotiabank Family History Centre, just inside the museum. During the summer we have seen a steady increase in client visits. People come in with all different kinds of questions for us about lighthouses, immigration, family history, military history, war brides, home children, the coal mining industry in Cape Breton, aboriginal genealogy, and much, much more. 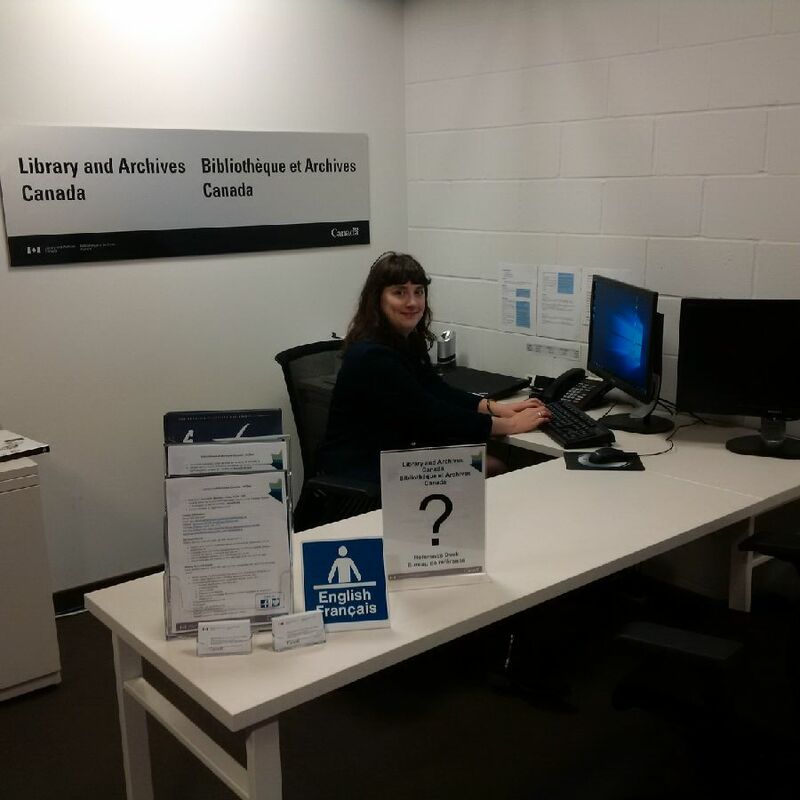 In addition to the knowledgeable employees who staff our service point on weekdays, we also have a kiosk that provides clients with access to LAC databases, as well as other subscription databases, such as Ancestry.ca. Researchers can drop by anytime during our hours of operation to use the kiosk or speak with someone at the orientation and reference desk. For up-to-date hours of operation, please visit the Service Points Outside of Ottawa page. Researchers can also make an appointment with an archivist on site for assistance with more in-depth questions or with help preparing for a research trip to consult material at LAC in the National Capital Region, Winnipeg, or Vancouver. Co-locating with Pier 21 also gives us the opportunity to work with the museum on some of its most popular events. Canada Day has been the largest event for us so far, with this year marking the 150th anniversary of Confederation. We set up an information booth in the museum and were delighted to receive over 300 visitors. People were excited to meet us and to enter a draw to win one of five reproductions of original images from LAC’s vast collection. Canada Day was the first of many planned collaborative events between LAC and Pier 21. We are looking forward to more opportunities to highlight our collection to Haligonians and other visitors. Leah Rae is an archivist based in Halifax in the Regional Services and ATIP Division of Library and Archives Canada. 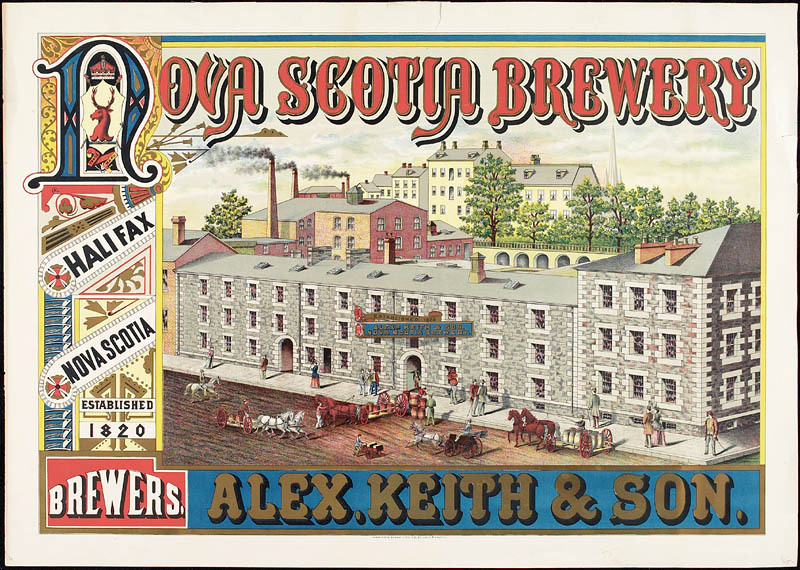 This entry was posted in Our Collection and Facilities and tagged Access, Halifax office, Pier 21 by Library and Archives Canada Blog. Bookmark the permalink. I wish I could visit, but I’m on the opposite side of the country 😦 Hopefully one day! Reblogged this on Roots to the Past.